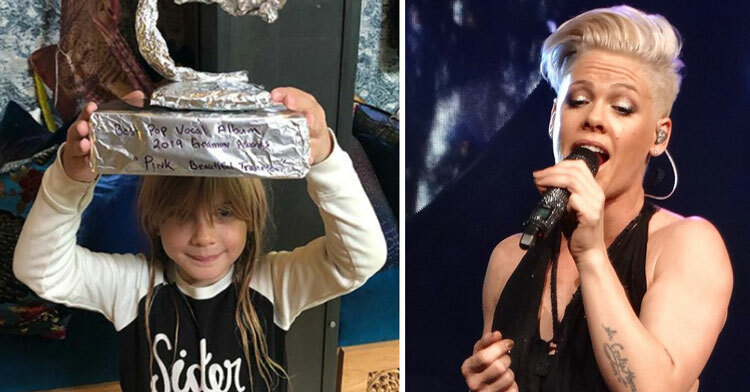 Pink May Have Lost At The Grammy’s, But Her Kids’ Homemade Tinfoil Award Is Priceless. They say it’s an honor just to be nominated for a Grammy Award, but losing still has to sting a little. Since 2002, Pink has received an astounding 20 nominations for Grammys and has only won three times. 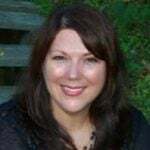 It’s safe to safe she knows the sting of losing all too well. Thankfully she’s got a loving and supportive family at home who are constantly proving that at the end of the day, she’s the real winner. This year, she earned a nomination for best pop vocal album for “Beautiful Trauma.” Unfortunately, just hours before the ceremony she received word that she’d lost yet again, this time to Ariana Grande. 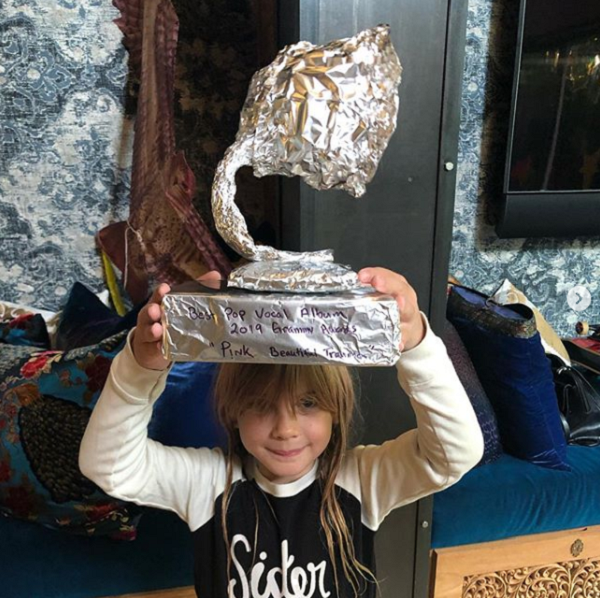 Instead of being upset, Pink spent the night with her family and received a wonderful consolation prize: a tinfoil Grammy Award crafted by her husband, Carey Hart, and presented with adoration by her kids Willow, 7, and Jameson, 2. “My favorite award,” Pink wrote on Instagram with the photo of Willow triumphantly brandishing the faux award. Pink says that she wasn’t the least bit surprised that she didn’t win. After all these years she’s pretty much used to being runner up, but she’s still thrilled to be in the running at all. Plus, with a a fun-loving family at home, she knows she has already won when it comes to what’s important. 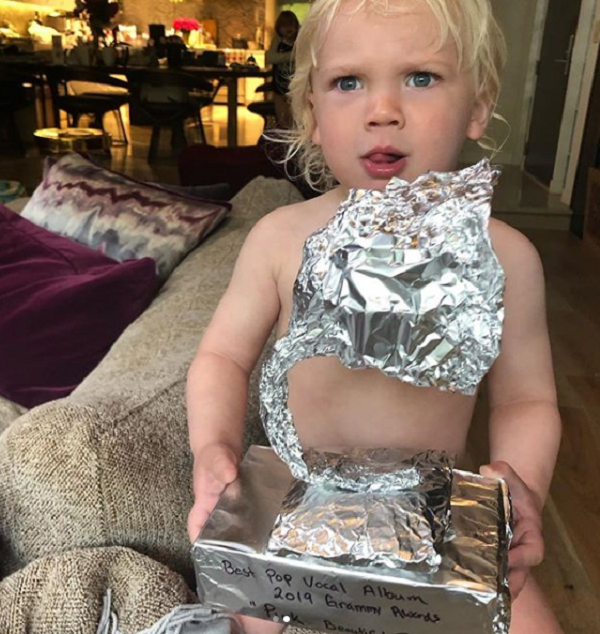 The tradition of crafting a tinfoil Grammy goes all the way back to when she and her husband first started dating. 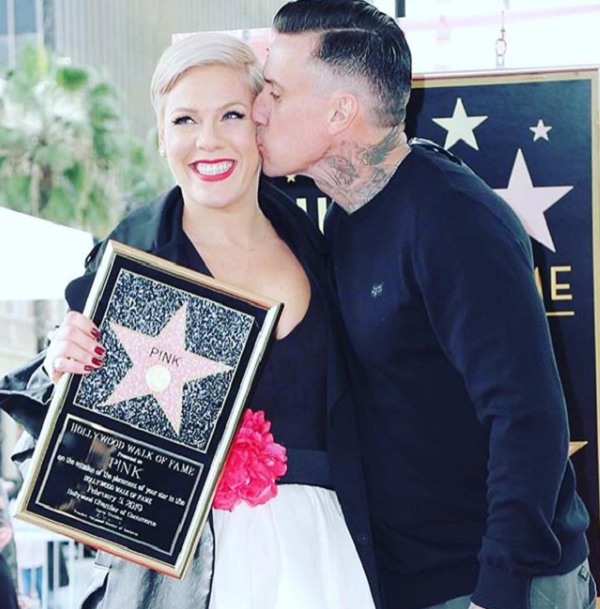 As if this adorable consolation prize from her favorite people wasn’t enough, Pink recently received her very own star on the Hollywood Walk of Fame. We’d say her career is doing just fine! 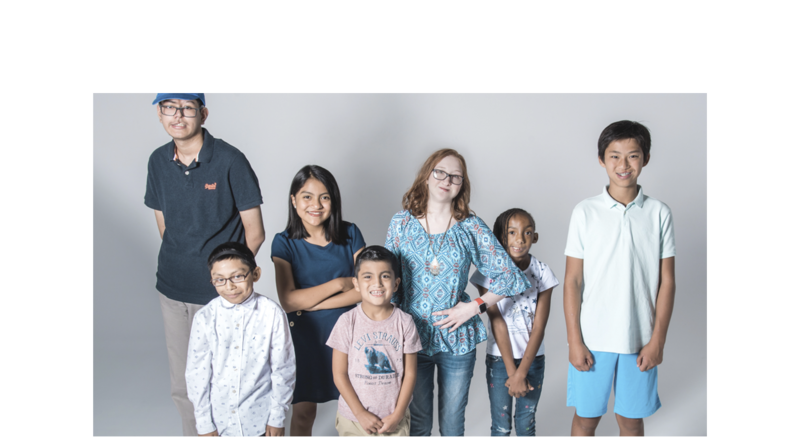 Please share this story to make someone smile today!